from 2008 to 2010 I ran posts with weekly news summaries. I stopped for some reason, but have been inspired by Halifax Re-tails and the 5 year anniversary of their weekly summaries – So today marks the first Thursday installment covering the various happenings that didn’t warrant a post of their own. I’m open to Suggestions for a better name then Weekly News Bits. The Chemical Tanker MT Chem Norma ran aground after a steering failure in the Saint Lawrence near Morrisburg Ont. on the 29th. There is no pollution, and tugs are on scene. The best coverage of this incident is being provided by SeawayNNY and PrescottAnchor on twitter. On Wednesday, a 53′ container was knocked overboard from the Oceanex Sanderling into the water during cargo operations at pier 41. The RCN sail training ship HMCS Oriole (above) is now assigned to Marlant. 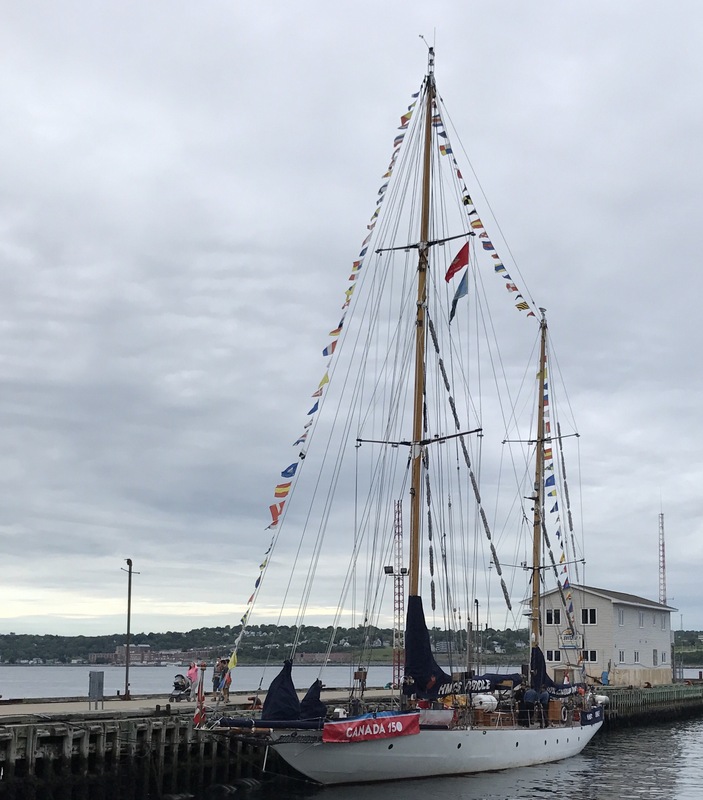 She was previously based in BC, came east last year for canada 150 events, and underwent a refit in Lunenburg over the winter. She is now bound for a Great lakes tour. In other shipbuilding news, The feds signed a contract with Vancouver’s Seaspan to begin construction on up to 52 of the blocks that will make of the 2 ships. 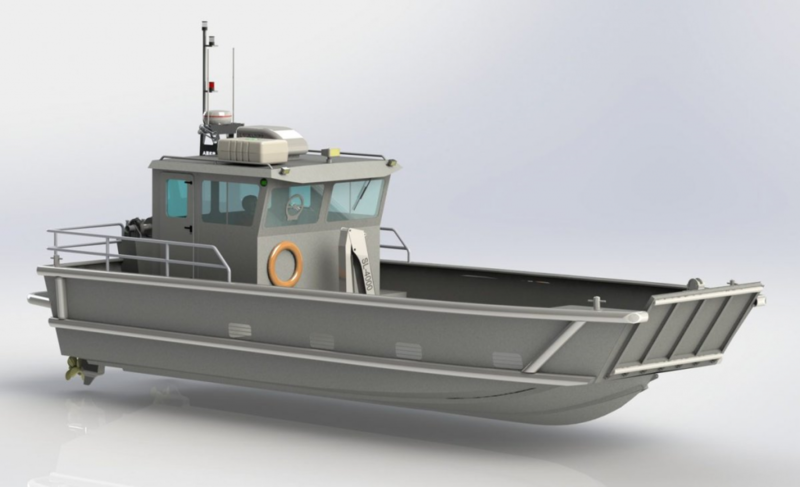 the construction will begin in advance, to fill a lull between coast guard vessels. US Navy Submarine USS Toledo spent the past weekend in Shearwater for the memorial day weekend. the US navy traditionally sends a vessel every memorial day weekend for a ceremony at the graves of US Servicemen who died as POWs and are buried on Deadmans island in the NW Arm. USS Toledo was previously here for NATO Exercises in September 2016. With the 1 year anniversary of the loss of the Sorca, CBC Reports on a legal battle between the ships owner and its insurer Llyods. With Summer around the corner, I’ts a good time to link to Mario Vittone’s Article Drowning Doesnt look like drowning this is an important read if you hang out near the water. If you plan on operating a vessel this summer, you may need a Pleasure craft operator Card. Good news, you can get it online. We did a Full Post – So You Want to be a Captain, which covers the requirements to operate various vessels. May 30 1950 – RCMP Schooner St. Roch arrives in Halifax, completing the first Circumnavigation of North America. May 26 1941 – the Royal navy sinks the German battleship Bismark. This entry was posted in Weekly News on May 31, 2018 by Peter. Any a idea when they will be moving the DeWolfe to the barge for floating? no. this summer sometime is what Irving is saying.